Charity CLIC Sargent has called for greater online resources to be made available for young people with cancer after finding many encounter a lack of information and support during certain points of their illness, particularly when they have finished treatment. The children and young people’s charity spoke to 138 young people with a cancer diagnosis for its latest report, Coping with Cancer, and is calling for a long-term strategy to ensure that every young person with cancer can access the paractical and emotional support they need. CLIC Sargent Director of Services Dara de Burca said: "There is no easy age to have cancer but we have found that a cancer diagnosis can bring significant challenges to young people aged 16 to 24. Our research has found that young people rely on being able to access good quality information and support to help them build their resilience and confidently deal with their illness. 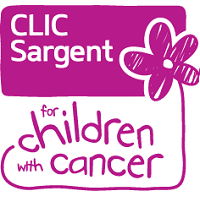 "We know the young people CLIC Sargent reach really value the support they receive and therefore we are determined to ensure that this support is available to every young person who needs it. Expanding our young people services is a key priority in the coming years." The report showed that young people with cancer look for information on a range of subjects, with the main topic physical health, cancer and treatment (73%), followed by emotional and mental health (57%) and education and employment (51%). Other issues they need information about include practical issues such as money and housing (46%), personal relationships (24%) and sexual health (23%). The charity has urged the NHS and health agencies to ensure young people’s needs for accessing good quality information are prioritised. The charity is also set to expand its own support network for young people aged 16 to 24 who have, or have had, cancer by launching a new online community in January 2015 which will provide a safe online space for young people to share experiences, support each other and be guided to trusted information. Many young people value face-to-face support from health care professionals to talk about health concerns (74%) while the internet is also increasingly used to seek support, mainly through interacting with other young people (78%). However, the report found some young people had experienced difficulties with digital access while in hospitals. CLIC Sargent is asking the NHS to focus on the needs of young people in any digital strategies and is calling on hospitals to prioritise the provision of internet access.